Sushi is one of my all-time favorite foods. My husband and I have often enjoyed making it for dinner together. While a sushi dinner makes an incredible meal, making it typically takes up a good chunk of my free time. 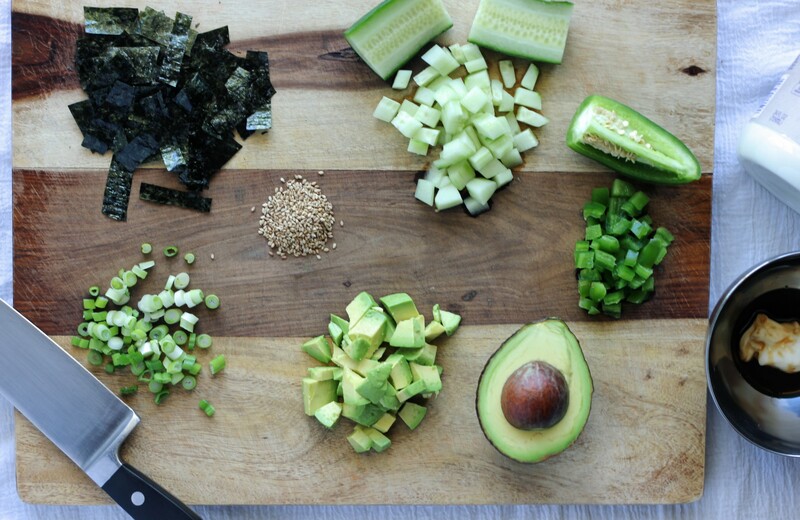 One day, my husband came up with the idea of just dumping all the sushi ingredients into a bowl with rice and teriyaki sauce. It turned out to be DE-LI-CIOUS. Now I’m a new mom of two, and I am a huge fan of recipes that are quick and easy to make while still being healthy and tasty. This recipe is as easy as they come: cook rice, add toppings and eat. I like to change up the type of sauce I use, so I came up with a recipe for a creamy sesame dressing. 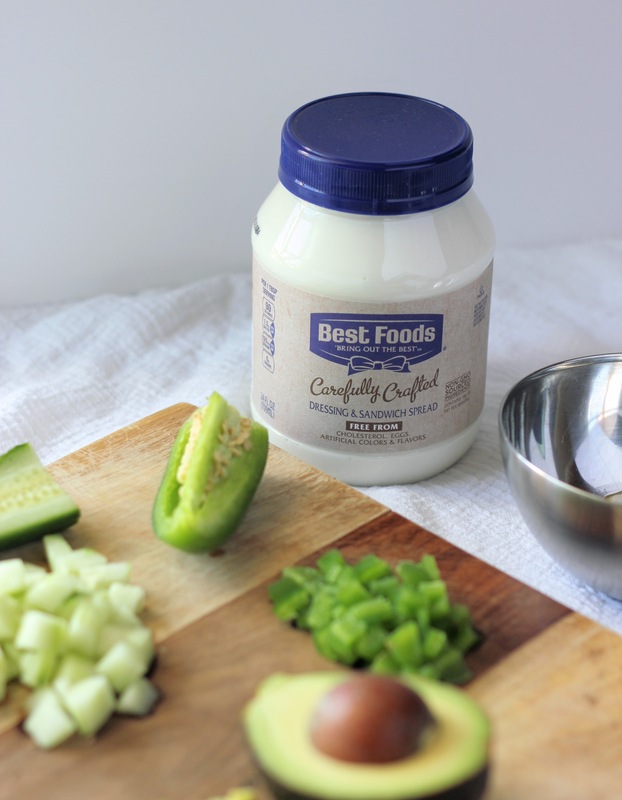 Best Foods’ new plant-based Carefully Crafted dressing made the perfect base. 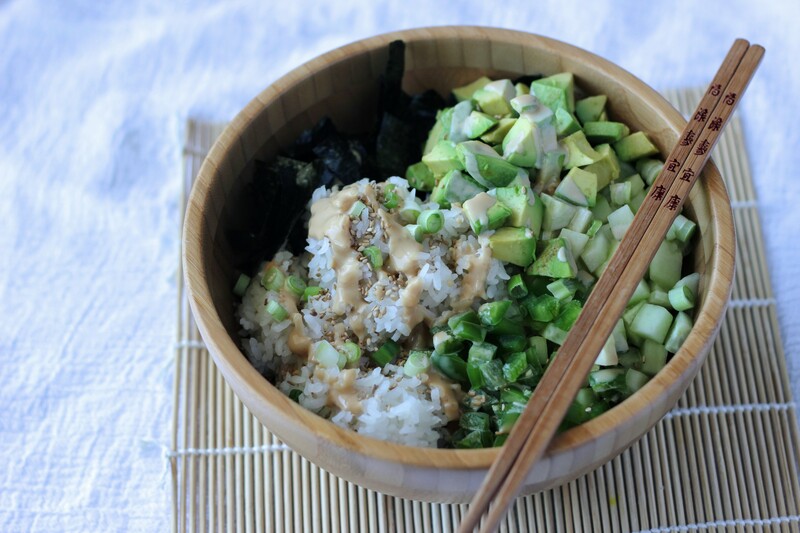 If you already have leftover rice in the fridge, this meal will only take ten minutes to make. Start by putting rice to cook in a rice cooker or on the stove. Prepare the toppings. 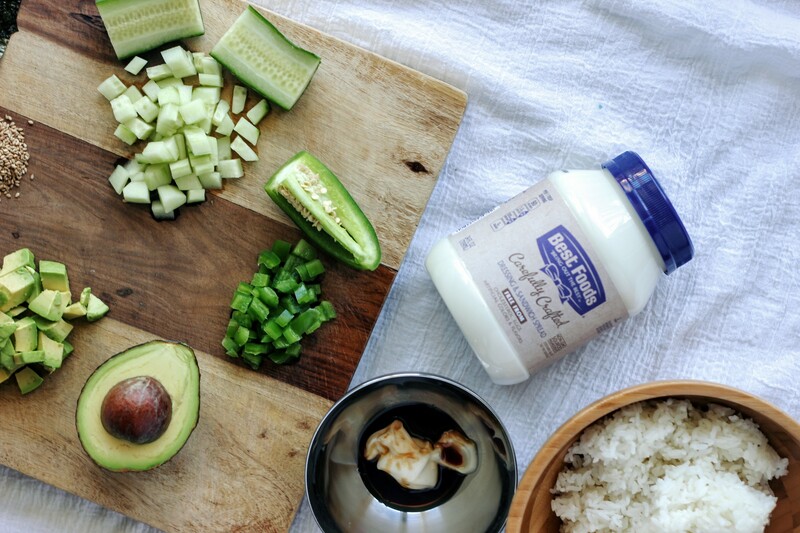 Mix dressing ingredients together. When rice is finished, add a splash of lemon juice or seasoned rice vinegar if desired, then mix together. Spoon rice into your bowl. Top with all your ingredients and drizzle the dressing on top. Mix together and enjoy! This article was created in partnership with Best Foods and FeedFeed. All opinions expressed are my own.